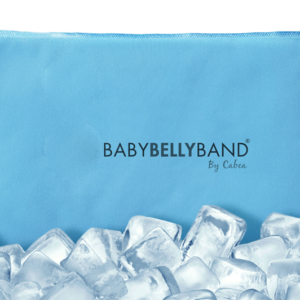 Babybellyband Compression Therapy Groin Bands velcro attach to the Abdominal Band (SOLD SEPARATELY) for ultimate compression support for vaginal or vulvar varicosities, inguinal and femoral hernia, pubic symphysis SPD dysfunction, prolapsed organs, pelvic congestion syndrome, and to relieve pelvic pressure and heaviness. Comfortable, flexible, soft, easy to adjust. Freedom of movement of each groin band allows you to adjust and place the band in the area of your discomfort.